Love it or loathe it, Christmas might come just once a year but it’s bigger and brighter than ever before. Jolly old Father Christmas (or Santa Claus) has become a big hit in Asia, because who can resist that magical white beard?! In Asia, the Christmas season is all about parties, shopping and plenty of twinkling lights. For anyone looking to experience Christmas from a new perspective, or to head to warmer climes in the depths of Britain’s dark, dank winter but not miss out on the annual cheer, have a read of the below to find out how the people in countries across Asia celebrate Christmas. Although not a public holiday in China, Christmas is starting to take off in the large, more international-influenced cities, such as Beijing and Shanghai, as a newly adopted tradition. People get together with their family and friends, have a party and exchange small gifts. Christmas apples are particularly popular present! All the commercial streets, shopping centres and department stores are full of Christmas tree lights and decorations. The shops have certainly turned Christmas to their advantage; Christmas Eve has become the biggest shopping day of the year! In Hong Kong and Macau however, thanks to their European roots, Christmas is a much bigger deal. In Hong Kong, Christmas Day and Boxing Day are public holidays and the Tourist Board puts on WinterFest, an annual Christmas wonderland in the city. 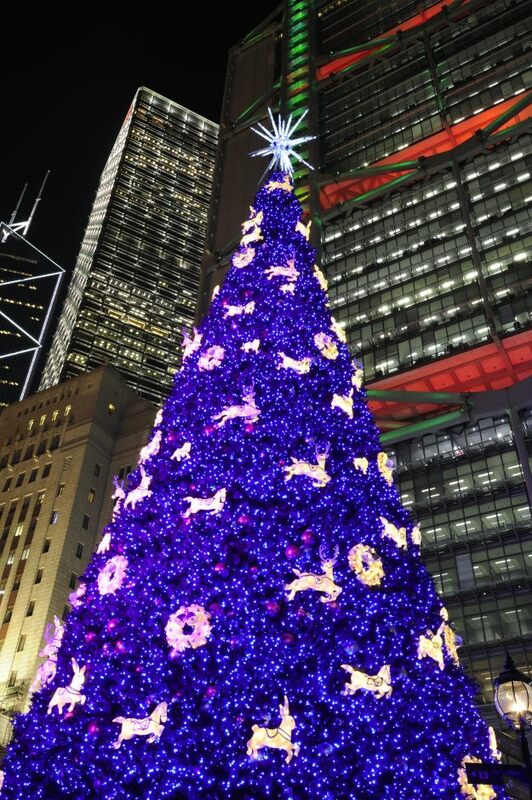 In fact, Hong Kong is considered one of the best places in the world to enjoy Christmas. In Macau, a city of casinos, you just know that Christmas will be a great show, with music, lights displays and choirs all over the city. There are also plenty of beautiful European-style churches where the locals gather to hear midnight mass. The other advantage of Christmas in Hong Kong and Macau? The beautifully warm weather. When you look at the percentage of Christians in India, 2.3%, it looks pretty small, but convert that into the real numbers and it’s a different story – 2.3% of India’s population is 25 million people! In a country that has a lot of festivals, Christmas is a small one, but is still as wonderfully colourful as all of the others. In New Delhi, Connaught Place buzzes with festive cheer and in Kolkata there is a vibrant Christmas festival. 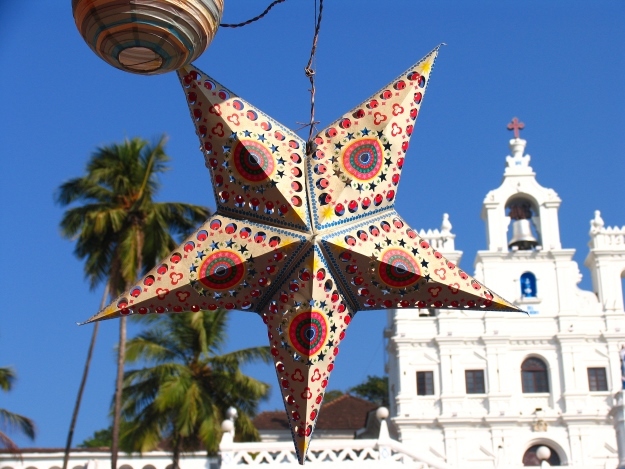 Christmas is biggest in Goa and Mumbai where there has been more European influence. Goa especially has a lot of western traditions – you’ll get your roast turkey here and be able to go to midnight mass. There are also plenty of wonderful Indian embellishments like streets lined with star lanterns to guide friends and family to the door and covering banana and mango trees in tinsel and baubles! And of course, Goa has plenty of gorgeous beaches to enjoy. Spending your Christmas holidays in India, you can have your Christmas pud and eat it too! 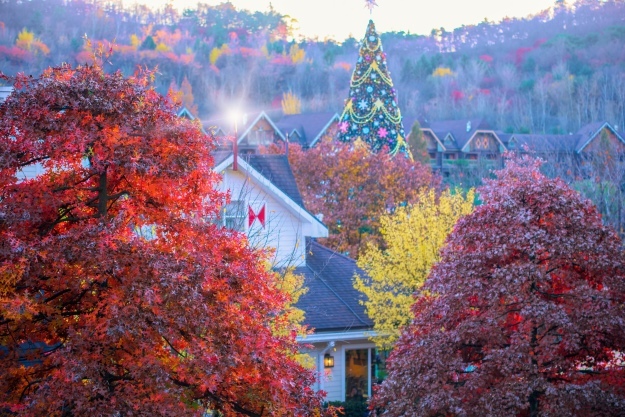 One of Asia’s most Christmas-savvy nations, December 25 is a public holiday in South Korea. Here, Father Christmas (or Santa Haraboji to give him his local name) can wear his usual merry red or a shade of blue, but generally the traditions and celebrations are very much American in their style. Seoul particularly has some fantastic displays in its department stores, but a South Korean Christmas is generally a bit more toned down than in the west – a Christian family may put up a Christmas tree and people do exchange gifts but the holidays are not as drawn out as they are here. Seeing Christmas celebrated in South Korea though, as an officially Buddhist country, would be fascinating. In Thailand you have ‘sanuk’, which is very basically the Thai version of ‘carpe diem’ – here it’s any excuse for a party. The meaning of Christmas may be somewhat lost to a population that is 95% Buddhist but they get fully involved with decorations, Santa hats and speakers booming Christmas songs, especially in Bangkok and the bigger resorts. You’d be hard pushed to find anything much in smaller towns. 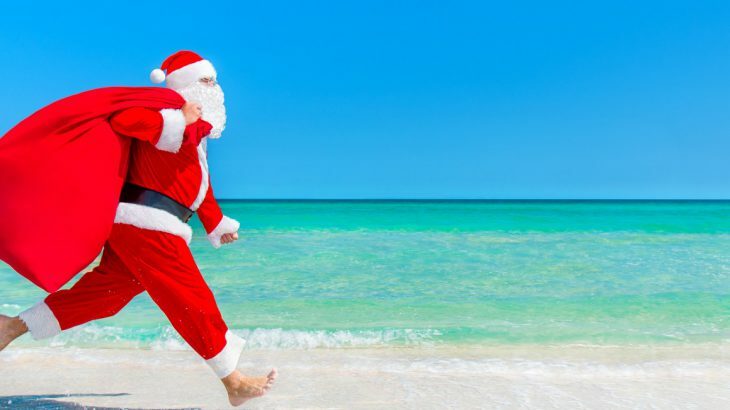 The Christmas period is also one of the best times weather-wise to visit Thailand, and it is a very popular time of year to travel here to enjoy a bit of winter sun. 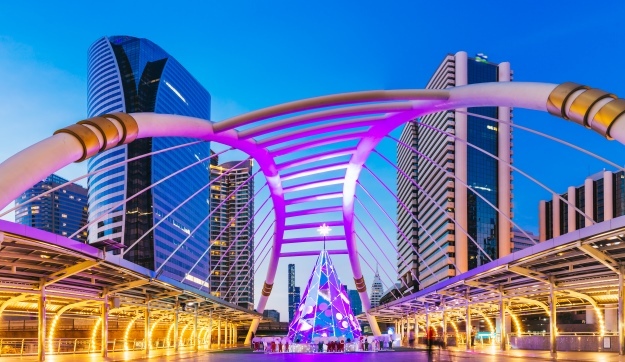 You’ll find many of the beach resorts offer Christmas dinners with all the trimmings on Christmas Day, so if you’re looking for a sunny break with a little added festive cheer, Thailand is one of your best options. General Beach, Christmas, festivals, sightseeing, travel. permalink.